I joined Judiciary Committee co-chairs Rep. Steve Stafstrom (D-Bridgeport) and Sen. Gary Winfield (D-New Haven) and several legislative colleagues from both parties and activists to announce legislation the committee would take on to reduce gun violence and make Connecticut communities safer. Requiring people who hold a permit to carry a firearm openly to show their firearm permit to law enforcement officers if requested. 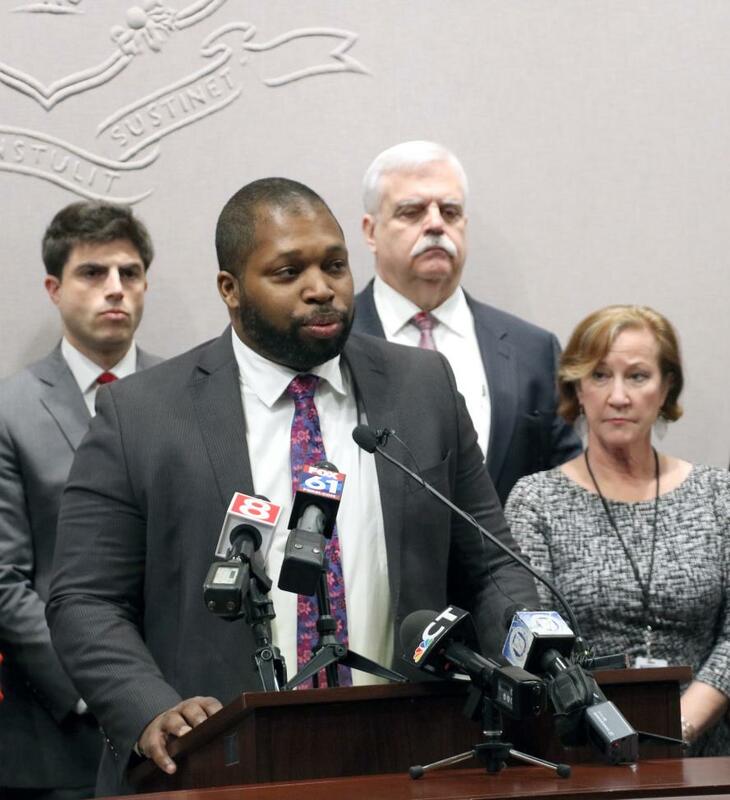 Connecticut has been in the forefront of gun responsibility laws for 30 years, when I joined with Democrats and Republicans to guide the “Kids and Guns Bill” to passage. Connecticut has been in the forefront since 1994, when we banned the civilian ownership of military-style assault weapons. We were in the forefront after Sandy Hook. We're in the forefront with today's bills, all designed to make our kids, our homes, and our streets safer.